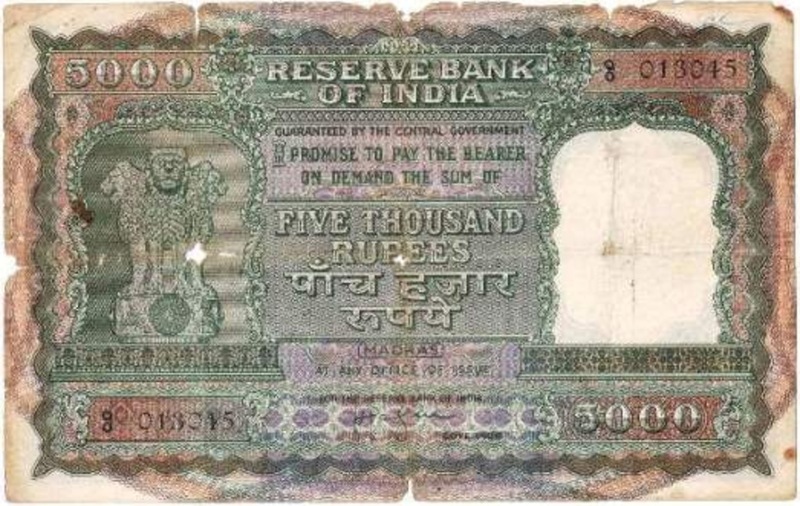 The Reserve Bank of India issued Indian Rupee banknotes in 11 different denominations, including this 5000 Indian rupees banknote (Asoka large type). They are part of the withdrawn Indian Rupee banknotes series. The Reserve Bank of India started issuing these 5000 Indian Rupee banknotes in 1949. They were withdrawn from circulation in 1978. Introduced after India’s independence from the British Empire, the Rs 5000 rupees banknote features the national symbol of India: the Asoka column with statues of Lions. Repeat these steps for any other notes and coins you want to exchange. Complete checkout and get paid within 5 days of receiving your currencies. 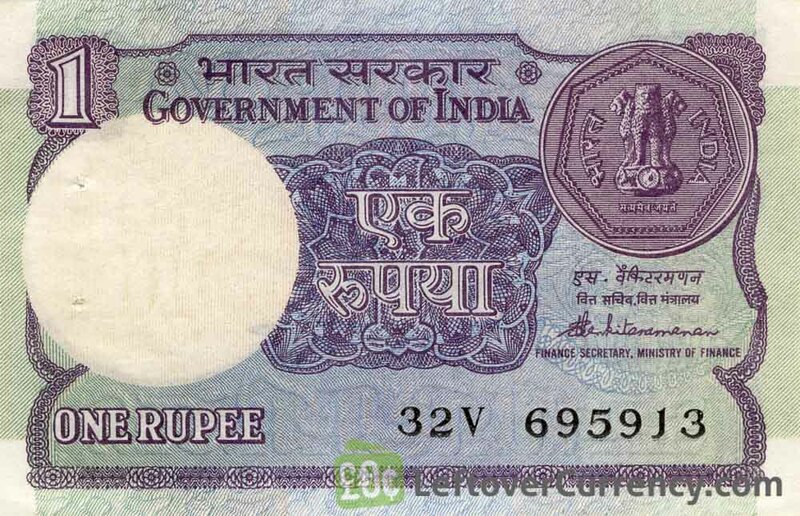 To exchange your 5000 Indian rupees banknote (Asoka large type) for cash: add it to your wallet now!